With a myriad of different flavours on the market today, it is becoming increasingly hard to find some high-quality traditional tobacco flavours to vape on until now. Be-Kuali E-juices from China have produced a range of the most authentic tobacco blends along with menthol and a wide variety of fruit flavours, using only naturally extracted essences backed by the highest levels of both safety and quality. Approached back in 2009 to develop E-liquids for the E-Cigarette market because of their reputation as an established manufacturer of high-quality vitamins, minerals, and nutraceuticals, the brand name Be-Kuali was launched reaching out to the vaping community with 14 unique flavours advertised on their website and access to a further two hundred different flavours. Forging partnerships with companies such as Robert Group of France an internationally recognised world leader in the field of natural ingredients, and Hasegawa Totaro Shoten a company founded back in 1903 and highly respected for manufacturing tailor made fragrances and flavours they have broadened their area of research, particularly in the field of essence extraction and blending to give the consumer only the most natural flavours available, and that includes pharmaceutical grade nicotine as well. The range of E-liquids that Be-Kuali manufacturers I’m informed meets with the current USA FDA’s FEMA & Japanese Safety standards, along with the European CE standard too. For some people reading this review so far you might find some of the above irrelevant, but remember you get to inhale these products so it’s reassuring to know that manufacturers are following the safety guidelines for you benefit! I have reviewed these three juices over a period of one week on two different manufacturers VV/VW devices as I normally do in these reviews. These include the KangerTech K- Simar 20W, along with the eVic Supreme 30w. I have also used a combination of three different tanks. The latest Kangertech SubTank Hybrid OCC (RBA) & Aerotank Mega, plus the Kayfun Lite, in varying combinations, using the ranges suggested in the chart supplied here for added consistency. I have also vaped the supplied E-liquids at 25w using the Kangertech RMT (RBA) in combination with the eVic Supreme. I believe that this will give both the retail supplier and consumer a fair and accurate assessment of the flavour and vapour production, as well as the throat hit this brand produces, which is important when considering stocking this range or purchasing them for your personal vaping pleasure. I also steeped them for a period of one week prior to tasting, allowing the full flavour to come to the fore. Arriving in a tamper sealed designer box you get a first impression of what presentation and product labelling is all about. This is the first time I have seen packaging of a product that has been designed by one of the better advertising agencies. After spending 25+ years working on all major brands worldwide, creating award-winning TV commercials, I think by now I have a pretty good idea about this, in my opinion! The packaging also conforms with the current and new laws set by the UK Trading Standards. This range of flavoured liquids come in nicotine strengths of 0.0, 0.6, 12,16, and 18mg, with a variation in VG/PG combinations from 70/30 to 65/35 depending on the makeup of the juice. The closest flavour I have personally tried that come close to a traditional cigarette flavour. It is impossible in my opinion to create the exact representation of a traditional cigarette for one very good reason. A traditional cigarette burns so the presence of that familiar taste is never present when using an electronic cigarette however if you smell the aroma from a freshly opened box or the cigarette itself, or even better draw on an unlit one you will begin to understand what I mean. This particular flavour represents that aroma in the form of taste giving you a distinct feeling that you are vaping the real thing. Throat hit is smooth but present (12mg) and vapour production is also very good. One of the stronger and slightly heavier flavours in the tobacco range. Super tobacco appears to have a similar makeup to the British tobacco taste but creating a warm and drier feeling in the palate suggesting that it is aimed at the traditional hand-rolled smoker, being stronger in tobacco flavour than that of the other two I have tried in this review. If you familiar with Yenidji from Greece, a spicy but smooth tasting tobacco, and Latakia, which produces a warm, dry sensation in the palate, with just a hint of white burley a natural tobacco with a soft character that never bites, you will appreciate the makeup of this particular blend. More noticeable throat hit, and slightly heavier vapour production leaving a fulfilling warm and dry aftertaste. A well-chosen and nicely blended tobacco flavour that contains a strong link to the Virginia leaf flavoured tobaccos. Using a nicotine content of 12mg this was well suited for what is traditionally known as one of the mildest of all tobacco blends a light sweet taste with what appears to be a subtle note of spice tobacco derived from a combination of flavours like Perique, Kentucky, Latakia amongst others. This flavour produces an airier vapour both plentiful and slightly aromatic with a suitably matching throat hit. This is a very interesting and impressive blend that I’m sure will become a firm favourite of many people who enjoy this type of flavour. Both refreshing due to the clear iced mint note with an undoubtedly natural herbal green tea that was sitting just behind it but clearly present. The Introduction of a herbal range of flavours might be a worthwhile consideration after tasting this at some suitable point. 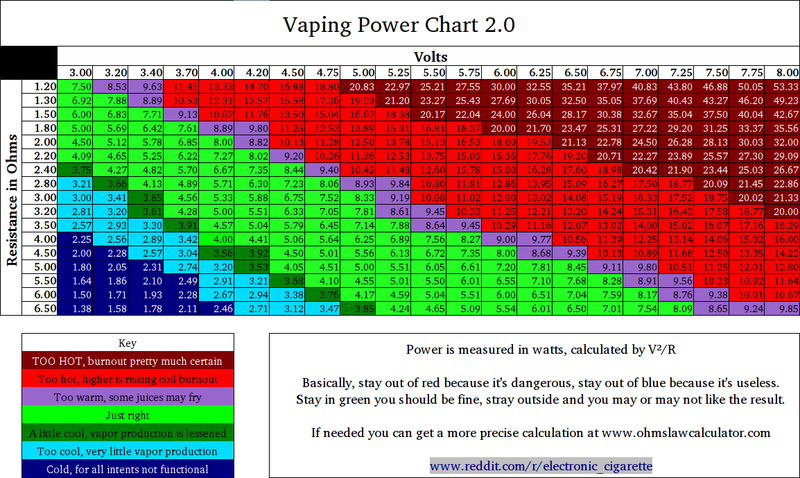 Vapour production is very good with a smooth throat hit at 12mg. Think freshly ground and percolated Arabica coffee beans as the best way of describing this full-bodied flavour and you have it in a nutshell. Producing great flavour and an intense aroma it stands up to some of the finer and more expensive coffee flavours that you will find on the market today. Vaped best at a warmer temperature at around 12 watts this juice produces a smooth throat hit again using 12mg of nicotine, and very good vapour production. As you might expect a fresh menthol flavoured vape with what appears to have a herbal base leaving a refreshing taste in the palette long after the exhale. Different but none the less well represented. Be-Kuali is producing without a doubt the best range of E-liquids I’ve tried so far from China and it would appear to be meeting with all the required safety standards from around the world too which is no small undertaking! The packaging of the products meets the highest standards and is extremely well designed. Personally, I would hope at some point that they will distribute their range in 15ml and 30/35ml glass bottles with pipette dispensers which seems to have become the industry standard these day’s removing any concerns in relation to leaching as clearly they have done so much to guarantee the makeup and safety of their line of flavours. It would appear from vaping the Be-Kauli juices over the Christmas holiday, that the range is aimed at the converted (thankfully!) analogue smoker as both the vapour production along with the VG/PG ratios is more inclined to match that of a traditional cigarette albeit much more plentiful. Flavours are well represented too and I very much enjoyed the Green Tea Menthol juice that works well and livens up this particular flavour. It would be interesting to pair the Green Tea with a real mint as well creating a very natural combination. The Nicotine range for this brand is well balanced however the option to include a 24mg version would not go a miss with the tobacco flavoured line helping people used to stronger hand rolled cigarettes (non-filtered) make the transmission to vaping just that little bit easier. This may of course not be possible due to the high likelihood of future regulations concerning anything above 20mg requiring a medical licence, however, a consideration none the less. Aroma produced from the flavours reviewed here are pleasing, leaving a subtle taste of each in the palate with the Super Fresh being more present. My own personal dealings with Be-Kuali have been helpful with a very professional approach, so be sure to try out this range for yourself, and don’t think for one moment that the price reflects the quality of the flavours provided in any way. For further details on this range please use the contact details provided below. Their website appears to be still under construction so I have provided a link to the contact section on it for you here. That’s all for now, hope you enjoyed the review and get a chance to try out the range sometime soon for yourself! 1，The mint juice is the best what I have tasted all the e-juice . 2, It was so clear in the month after smoking.